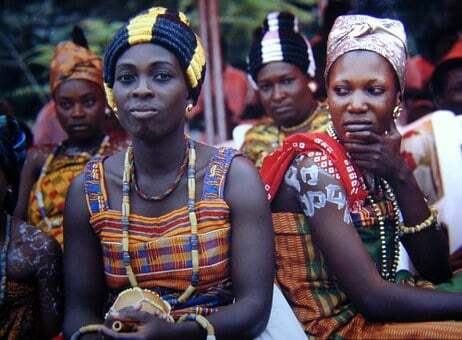 Historically, the Akan people are one of the five major ethnic groups found in Ghana. The rest are the Ewes, the Guans, the Mole-Dagbani and the Ga-Adangbe. Accounts have it that, the Akans moved to the coastal and forest areas of present day Ghana many centuries ago. Some of them can also be found across the border with La Cote d'Ivoire where they formed the community called the Baule community the Akans. Several subgroups of the Akan people are dotted in Ghana; they include Asante, Akuapem, Akwamu, and Akyem, Agona, Kwahu, Wassa, Fante and Bono. About seven to eight matri-lineages can be identified among the Akans. Some of them include the Oyoko, the Asona and the Agona. 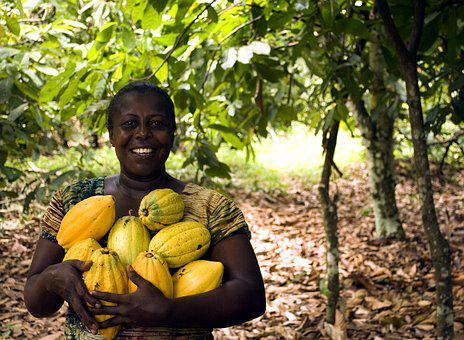 In the Akan traditional settings, a man traces his lineage through his mother’s line. He is believed to belong to his mother’s blood line. As a result, an Akan person inherits from his uncles from the mother’s side. A man cannot be allowed to marry from the mother’s family. It is considered as a kind of in-breeding if an Akan man begets a child with a member of his mother’s family. All men can only marry from outside the family circles of their mother. Two people, a man and a woman, do not just meet in the street and arrange to marry. It is supposed, under the customary law, to encompass the families of both the man and the woman. Usually, it is the man and or his family that makes the first move if they spot a woman in another family and wish to have her hand in marriage. Once the family of the woman is informed, there is discreet fact-findings about either family by the other family. As soon as it is ascertained that their daughter or son can marry into the family, arrangements are made to pay the bride price and the marriage ceremony is allowed to take place in the glare view of all family members. In Akan societies, not all people are regarded as equal. There are those who constitute the nobility, there are the free-born and there are the slaves. At the bottom are the slaves captured in wars and their descendants, above them are the free-born who also wield a lot of influence in the society. Finally, there is the noble class who wield the political power of the state. It is from this class that the chiefs and the queens, in fact, the ruling class emerges from. It is believed that in the course of their journeys through the wilderness, they were assisted by certain animals in very spectacular ways. These animals have become their totems and they revere them to the extent where they are not supposed to kill them. Some of the animals regarded as totems include royal python and crab among others. The Akans believe in the existence of the Supreme Being in addition to other smaller gods. They believe that the world was created by the Supreme God. They also believe that other deities exist and are associated with the natural environment; therefore they inhabit things like the sun, rivers, trees, mountains and others. 1. Describe the social organization of the traditional Akan society. 2. Describe the clan system of the Akan.